In the past four decades the U.S. cultural scene has witnessed a groundbreaking emergence of a number of Native American writers who have transformed the perception of minority literature, challenging Western audience to reconsider popular stereotypes and received assumptions of indigenous history, identity and culture. Today many of those writers hold prominent positions on popular bestseller and university reading lists, and interest in reading and studying their work is a mainstream trend. Committed to cultural and historical revisionism, they have also expanded the notion of a literary text, and the book as its traditional medium, turning it into a political weapon, a zone of conceptual contact, contestation and dialogue. With his third novel Fools Crow (1986) renowned Blackfeet author James Welch pointed his bow and pen in that direction as well. Set in the 1870s, the period of Indian wars, Fools Crow is a story about the tragedy of Native Americans caused by the coming of the Europeans. It captures the lives of Lone Eaters band of the Pikuni people, one of the bands belonging to the Blackfeet tribe, living on the border between American and Canadian Rocky Mountains. Told from Native American perspective, describing the time of dramatic transformation after encountering the Europeans, the plot of the novel centers around the life of the main character White Man’s Dog, later renamed Fools Crow because of his honorable performance in one of the battles. At the beginning he is just a young teenage boy, eager to finally set up his place as a successful warrior in his tribe. In spite of his initial insecurity and misfortune, he is growing into a successful warrior, hunter, leader, husband, and healer. Even though it seemingly follows Western tradition of the “identity narrative”, Fools Crow is not just a story about the experience and growth of an individual character illustrative of Western narrativity. This novel in many ways affirms Owens’s statement that “contemporary Native American authors are requiring that the readers cross over the conceptual horizon into an Indian world” (20). Right at the beginning, it invites a number of conceptual turns necessary for its understanding and interpretation. Blackfeet expressions and literal translations of words and concepts from the Pikuni culture blend with English sentences, making the novel a linguistic and conceptual amalgam. With no glossary provided, the text forces the reader to acquire the words like Napikwans (white settlers), blackhorn (buffalo), prairie runner (antelope), skunk ear (wolverine), ears-far-apart (owl), elk dog (horse), and accede to an anthropomorphic worldview in which swift silver people (fish) and the deities – Night Red Light (moon), Sun Chief (sun), Seven Persons (a constellation), Earth Mother and Wind Maker – are an integral part of human and earthly events. Throughout the novel, Pikuni words and cosmology continue to suppress Western ones, proving Onion’s thesis that, by inserting Pikuni words, Welch not only translates and mediates between cultures, but also creates a contact zone, invoking and affirming Blackfeet worldview (cf. Onion). Besides Pikuni linguistic and conceptual locutions, Fools Crow also contains numerous indicators of oral storytelling. Unlike Western cultures, Native Americans have a very long tradition of maintaining their history through oral storytelling. This storytelling is a memory of their heritage and this memory has been passed down from generation to generation (cf. “Native American Oral…”). Oral tradition is of big importance for Native Americans since it serves as a guideline for the tribes (cf. “Native American Oral…”). A person who passes down these stories is selected at an early age. He or she has to remember the stories and retell them many times to grownups and children who learn about their heritage in that way. The storyteller is one of the most respected members of the tribe. These oral stories include creation stories, legends about cultural heroes, instructions from spirit mentors and guidelines on how to perform a ceremony, adventures in marriage and love or explanations of the natural processes such as the inter-species relationship. Oral tradition is also linked to the culture of Native Americans and is important for preserving it. It also reflects Native American social and ethical principles, values and beliefs, and educates about their understanding and conception of the world (cf. Einhorn, Cavender). Similarly, Fools Crow conveys and preserves Blackfeet oral history and traditional worldview and teaches its reader about pre-contact culture, social organization and spirituality. Seen in that light, the story of the Lone Eaters band is more than just fiction or a story of an individual character – Fools Crow and his family. It can also be conceived of as a repository of cultural knowledge and identity. Thus, every part of the animal was used for something useful so “they depended on the buffalo for almost everything they ate, wore and used” (Norris 20). Pikuni mixed buffalo meat with other ingredients to get some delicious dishes: “The meat was often dried in the sun or over a fire. Sometimes it was mixed with dried berries to make a food called pemmican” (Lambert). Pemmican was very often brought on long journeys, since it could last for a very long time. The bison and other large mammals were fatter animals which meant a substantial source of energy for the people who consumed them. Some parts of the animals, such as tongues, were often eaten when people celebrated something special in their lives. Similarly, “the families and friends feasted on boss ribs and tongues and buffalo hump” (Fools Crow 107) on the night when White Man’s Dog and his wife Red Paint celebrated their future life. Consequently, hunting was one of the principal activities in the Pikuni community and a test of one’s manhood. As a young man, White Man’s Dog hunts and prepares for his future role as a provider for his family: He “killed many animals on his solitary hunts and he left many of them outside the lodge of Heavy Shield Woman” (Fools Crow 47). Bringing home anything to eat was welcomed; however, bringing home one or even more blackhorns was a great success “for only the blackhorns could provide for all the needs of a family” (Fools Crow 47). For a young boy, the experience of hunting, especially for the first time, meant the whole world. White Man’s Dog described how he felt when he hunted for the very first time: “He remembered his first lone hunt as a youth, the giddiness with which he stalked the deer for a whole day, the thrill he felt when he held its liver in his hands, still warm and steaming in the winter air” (Fools Crow 211). Thereupon, even though men and women differed in their tasks and assignments, there was no gender hierarchy in Blackfeet culture. Both genders possessed necessary skills, knowledge and capability that gave them an equal role in basic survival. Thus for Blackfeet people dreams are important guidelines for individuals and the whole group, a part of their reality and something they take very seriously. Fools Crow also treats animals with respect. When he hunts, he asks the animals for permission and always honors the animal he kills. Animals are an important part of his spiritual life as well, serving as guides, teachers and companions in difficult situations, dreams and visions (cf. Cole). While Mik-api, the Medicine Man, was dreaming, Raven came to him and told him that wolverine got stuck in the trap set by a Napikwan and did not have any strength to set himself free. He demanded that he sends someone who is “strong and true of heart” (Fools Crow 52). White Man’s Dog was the person he was aiming at to come and release the wolverine. Although White Man’s Dog felt afraid and weak, he followed Raven’s directions and got a promise from Raven to get wolverine’s power to protect him from fear in the future and so have his own personal animal helper. Just like traditional oral stories, Fools Crow also teaches that every step people take or decision they make can create balance or imbalance and consequently lead to health or illness. Recreating the oral tradition of Pikuni people, it upholds a holistic view and a state of universal balance in which all elements of creation mutually interact by means of ceremonies. Ceremonies thus restore the bond of life and foster the interrelationship between people and all other living creatures from the non-human and spirit world (cf. Hopfe and Woodward 37). Likewise, Fools Crow’s oral matrix revives the wounds of history and suppressed cultural memory, and thus functions as a counter-narrative to the dominant history. According to Holm, Native American oral tradition is not only factual, but it also represents an alternative to the dominant narrative of history. Even though their creation stories do not mention any dates of creation (Pritchard xxiii), many Native Americans take those stories as the authentic history of their people and culture. On the other hand, some historians and anthropologists understand Native American history only through the written narrative. They claim that “all oral history needs to be validated by written sources, without which oral narratives constitute unverifiable legend and are therefore unreliable sources” (Wilson). Disputing such claims, in his “America’s Histories” Krupat disagrees with the fact that “traditional Native historiography – history ‘in the native sense of the word’ – cannot or does not produce factually accurate accounts of events in time – history in Our sense of the word” (48): “it is necessary that we stop using terms like ‘myth,’ ‘anecdotes,’ and ‘mystical happenings,’ as standing in simple and subordinate opposition to ‘history’ – a category that We think cannot exist apart from empirical, factual accuracy” (71). …not just new economic institutions, new markets, and new ways of bounding the landscape, but other things that are less easy to attribute to the direct agency of “capitalism”. The devastating effects, for instance, of the disease organisms which wrought such havoc with Indian populations were primarily a function of the Indians’ isolation from Old World disease environments, and would have been similar no matter what the economic organization of the European invaders. For the Indians, new diseases were one of the clearest consequences of European settlement, but once present, their effects had more to do with biology than economics. As Cronon explains, Europeans and Native Americans had a completely different attitude toward the land. Europeans viewed the land as something that belongs to humans. They used the land for their own benefit. Owning a piece of land in their eyes represented power, wealth and independence. On the other hand, Native Americans had a completely opposite stand. They believed the land was there to be shared with others. They respected everything the land gave them, because they depended on it. Claiming the authority of oral history, the novel vividly depicts how in the late nineteenth century, the Blackfeet were forced to leave their land, memories, past and future, and were forced to adapt to white cultural practices. Most of them accepted and followed the European pace of life, accepted their customs and lifestyle. Yet, traditional values persisted nevertheless. The following words, part of Mountain Chief’s speech to his people, show that even though he is aware of his people’s black future, he does not want to make a compromise: “They say that Napikwan is a way of life now. Some even suggest that we go to his schools and his churches. They say if we learn his language, we can beat him with his own words” (Fools Crow 122). With the help of Feather Woman’s painted buffalo skin, Fools Crow is given a vision of his people’s future, foreseeing the fate and all the troubles and challenges that expect them, concerning white people. The aim of this vision is to instruct Fools Crow to be a hero who can lead his people and teach them how to deal with all the troubles and changes they will have to live through. He goes home to find out that many of his people have already died from white scabs. Although he realizes he cannot do anything to stop bad things from happening, he can still “prepare them for the times to come. If they make peace within themselves, they will live a good life in the Sand Hills. There they will go on to live as they always have. Things will not change” (Fools Crow 359). The importance of storytelling hides behind this vision also, as Feather Woman wants to show Fools Crow how important oral tradition is for keeping their history alive and that “stories will be handed down, and they will see that their people were proud and lived in accordance with the Below Ones, the Underwater People – and the Above Ones” (Fools Crow 360). Welch’s novel in many ways incorporates and continues this tradition. Like Blackfeet sacred histories, it too upholds traditional values and worldview, and serves as a nucleus of collective healing and cultural resilience. Recreating the pre-contact lifestyle of the Pikuni people, Welch created a non-Western conceptual space. In order to understand the novel, we are required to enter that space, to learn and accept the values and the worldview different from our own. Positioning the reader as the recipient of oral storytelling, Fools Crow teaches about Blackfeet philosophy, cosmology, social organization and core cultural values, allowing for an individual understanding of nonphysical states such as talking with animals or dreaming. Thus, Fools Crow not only invites readers to absorb a remarkable collection of Native American background, but also transports them to the indigenous world of the nineteenth century Plains, until they start feeling as if they themselves have lived through it. In that way, navigating between the two symbolic systems, the novel achieves the postcolonial effect of “appropriation”, “abrogation”, and “rearticulation” of Western symbols (cf. Aschcroft, Griffiths, and Tiffin 38). It appropriates Western narrative form, but fills it with indigenous content, re-writing/righting history and preserving cultural identity for the generations to come. Therefore, for writers like Welch, the book is not just a medium of Western narrativity and textuality, but is also an effective tool of conceptual translation and ideological contestation. The paper examines strategies of cultural and historical revisionism in James Welch’s novel Fools Crow (1986). Maneuvering the conventions of Western narrativity and its most popular agency – the book, the novel exhibits what Ashcroft, Griffiths, and Tiffin term as “abrogation” and “appropriation” of Western symbols. The most dominant such strategy in Fools Crow is the textualization of oral tradition. Even though it seemingly follows Western tradition of the identity narrative, Fools Crow suppresses its conventions through a number of conceptual turns. Bringing to life a whole tribal tradition of rituals, hunting, storytelling and dreaming, Welch’s text accurately illustrates Native American history, culture, social organization and gender roles, recreates the ancient world of oral wisdom and cosmology, and draws us into Blackfeet conception of the world. Blurring the boundary between the narrative and the myth, history and ceremony, it creates a resonance between the material, spiritual and mythopoeic immanent to the indigenous worldview, paralyzing the intention of the dominant genre. Thereupon, as oral tradition in disguise, Welch’s book both probes and expands the limits of textuality and Western discourse. As a counter-history, incorporating suppressed cultural memory and “the wounds” of history, the oral matrix destabilizes the authority of the colonial meta-narrative, as well. As such, it serves as an effective tool of both conceptual and anti-imperial translation. Aschcroft, Bill, Gareth Griffiths, and Helen Tiffin. The Empire Writes Back: Theory and Practice in Post-Colonial Literatures. London: Routledge, 1989. Print. Bales, Rebecca. “Native American Women: Living With Landscape.” OAH Magazine of History. 12.1 (1997): 13-16. 16 July 2010. <http://www.oah.org/pubs/magazine/women/bales.htm>. Web. 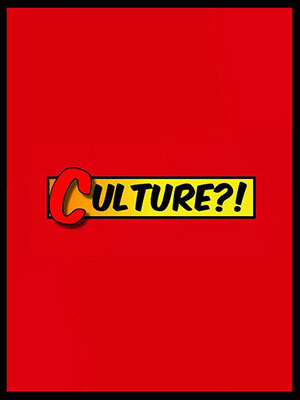 Bhabha, Homi K. “Culture’s In-Between.” Questions of Cultural Identity. Ed. Stuart Hall, and Paul Du Gay. 1996. London: Sage Publications, 2000. 53-61. Print. “Buffalo.” historylearningsite.co.uk. 2. August 2010. <http://www.historylearningsite.co.uk/buffalo.htm>. Web. Calloway, Colin Gordon. New Worlds for All: Indians, Europeans, and the Remaking of Early America. Baltimore, Maryland: The Johns Hopkins UP, 1997. 15 July 2010. Google Books. Web. Carroll, Bret. American Masculinities: a Historical Encyclopedia. New York: The Moschovitis Group, Inc. 2003. 21 November 2010. Google Books. Web. Cavender Wilson, Angela. “Educating America: The Historian’s Responsibility to Native Americans and the Public.” Perspectives on History. 2000. historians.org. 20 November 2010. <http://www.historians.org/perspectives/issues/2000/0005/0005sp11.cfm>. Web. Cobbs, John L. et al., eds. Through Indian Eyes: The Untold Story of Native American Peoples. Pleasantville, New York, Montreal: The Reader’s Digest Association inc., 1995. Print. Cole, Dawn R. “Animals in Native American Culture.” Helium. 22. September 2008. 19 November 2010. <http://www.helium.com/items/1189640-totems-power-animals-wisdom-strength-symbols-emblems?page=2>. Web. Couser, Thomas G. “Oppression and Repression: Personal and Collective Memory in Paul Marshall’s Praisesong for the Widow and Leslie Marmon Silko’s Ceremony.” Memory and Cultural Politics: New Approaches to American Ethnic Literatures. Ed. Singh, Amritjit, Joseph T. Sherrett, and Robert E. Hogan. Boston: Northeastern UP, 1996. 106-120. Print. Cronon, William. “That Wilderness Should Turn a Mart.” Changes in the Land: Indians, Colonists, and the Ecology of New England. New York: Hill and Wang, 1983. 17 July 2010. <http://www.shsu.edu/~jll004/colonial_summer09/wilderness_should_turn_a_mart.htm>. Web. Einhorn, Lois J. The Native American Oral Tradition: Voices of the Spirit and Soul. abc-clio.com. 20 November 2010. <http://www.abc-clio.com/product.aspx?id=69724>. Web. Frison, George C. “Hunting.” Encyclopedia of North American Indians. 3. August 2010. < http://www.college.cengage.com/history/readerscomp/naind/html/na_016000_hunting.htm>. Web. Gibson, Karen Bush. The Blackfeet: People of the Dark Moccasins. Minnesota: Capstone Press, 2003. 1. August 2010. Google Books. Web. “History and Society: Plains Indian.” Encyclopedia Britannica Online. 20 November 2010. <http://www.britannica.com/EBchecked/topic/462761/Plains-Indian/260986/Political-organization> Web. Holdsworth, Diana. “Native American Women.” 20 November 2010. <http://www.dianaholdsworth.com/ native_american_women_54576.htm >. Web. Holm, Tom. “Indian Religions and Spirituality – Graduate Course in American Indian Studies.” University of Arizona. Spring Semester, 2004. Lectures. Hopfe, M. Lewis and Mark R. Woodward. Religions of the World. New Jersey: Pearson Education, Inc. 2009. 30. November 2010. Google Books. Web. King, David C. The Blackfeet. New York: Marshall Cavendish Corporation, 2010. 20 November 2010. Google Books. Web. Krupat, Arnold. “America’s Histories.” Red Matters. Native American Studies (Rethinking the Americas). Philadelphia: U of Pennsylvania P, 2002. Print. Lambert, Tim. “Native Americans.” localhistories.org. 2. August 2010. <http://www.localhistories.org/nativeamericans.html> Web. Mann, C. C. 1491: New Revelations of the Americas before Columbus. U of Texas P, 2005. Print. Mauk, David, and John Oakland. American Civilization: an Introduction. New York: Routledge, 1995. Print. “Native American Mythology.” mythencyclopedia.com. 5. August 2010. <http://www.mythencyclopedia.com/Mi-Ni/Native-American-Mythology.html>. Web. “Native American Oral Histories.” 20. November 2010. <http://www.aaanativearts.com/article1476.html>. Web. Norris, Jill. Native Americans. California: Evan – Moor Educational Publishers, 1996. 1.August 2010. Google Books. Web. Onion, Pat. “Crossing Over: Mediating Between Cultures in American Indian Literature: A Let’s Talk About It Book Discussion Series.” mainehumanities.org. 3. August 2010. <http://www.mainehumanities.org/programs/talk-crossing-over.html>. Web. Owens, Louis. Mixedblood Messages: Literature, Film, Family, Place. Norman: U of Oklahoma P, 1998. Print. Peterson, Nancy H. Against Amnesia: Contemporary Women Writers and the Crisis of Historical Memory. Philadelphia: U of Pennsylvania P, 2001. Print. “Plains Indian.” Encyclopaedia by Farlex Online. 20 November 2010. <http://encyclopedia.farlex.com/Plains+Indians>. Web. Pritchard, Evan T. Native American Stories of the Sacred: Annotated & Explained. Woodstock, Vermont: Skylight Paths Publishing, 2005. 20. November 2010. Google Books. Web. Pritzker, Barry. Native Americans: an Encyclopedia of History, Culture, and Peoples. California: ABC – CLIO, Inc., 1998. 28 July 2010. Google Books. Web. Renwick, Neil. The Politics of Exclusion. New York: St. Martin’s Press, 2000. Print. Said, Edward W. Culture and Imperialism. New York: Knopf, 1993. Print. Shoemaker, Nancy. American Indians. MA: Blackwell Publishers Ltd, 2001. 15 July 2010. Google Books. Web. Sonneborn, Liz. Chronology of American Indian History. New York: Infobase Publishing, 2007. 22 November 2010. Google Books. Web. “The Plains Indians.” 20 November 2010. <http://critters.50megs.com/native/> Web. “Traditional and Indigenous Healing Systems: Native American – History & Philosophy” 20 November 2010. <http://www.healthandhealingny.org/tradition_healing/native-history.html#>. Web. Vento, Carlos Arnoldo. “Native American Evolution and Cultural Worldview: Worldviews in Collision: The Evolution of Civilization.” 19 November 2010. <http://eaglefeather.org/series/Native%20American%20Series/Excerpt%20Native%20American%20Evolution%20and%20Cultural%20Worldview.pdf>. Web. Welch, James. Fools Crow. New York: Viking Penguin Inc., 1986. Print. Tea Bartulović Rođena 1987. u Osijeku. Završila je preddiplomski studij engleskoga i njemačkoga jezika i književnosti 2008. godine, a 2010. postala je magistrica edukacije. Predavala je u školi stranih jezika, a od jeseni 2011. radi u Jezičnoj gimnaziji u Osijeku. Daje usluge prevođenja na freelancer stranicama te na taj način stječe još više iskustva. Također volontira u jednom centru za mlade gdje po potrebi prevodi sažetke projekata i slično. Želja joj je dobiti stipendiju te dalje izgrađivati svoje obrazovanje na doktorskom studiju Amerikanistike u inozemstvu. Sanja Runtić zaposlena je kao docentica na Odsjeku za engleski jezik i književnost te je voditeljica Preddiplomskog programa iz engleskog jezika i književnosti na Filozofskom fakultetu Sveučilišta u Osijeku. Predaje kolegije: Pregled starijeameričke književnosti, Pregled američke književnosti 19. st., Američki realizam i naturalizam, Suvremeni američki ženskipisci, Književnost američkih Indijanaca i Multikulturalna književnost na engleskom jeziku. Područja njezina znanstvenog interesa su američki indijanski studiji, s posebnim naglaskom na suvremenu indijansku književnost, umjetnost i neovisnu filmsku produkciju, postkolonijalna književnost i teorija, teorije globalizacije, postmodernizam, ženski studiji i američki realizam i naturalizam. The texts before you were, in their shorter version, originally presented at the inaugural symposium of the Croatian Association for American Studies (Hrvatsko udruženje za američke studije), established in 2010 with the aim of bringing together researchers and academics in Croatian institutions of higher education that teach, research and are working towards their degrees in different fields comprising American Studies. The first and hopefully not the last symposium showcased a considerable number of Croatian Americanists, while hosting also a few guests from abroad, among them one of the keynote speakers, Professor Douglas Ambrose of Hamilton College, USA. The other plenary address was delivered by Professor Stipe Grgas of the University of Zagreb whose work has been a mainstay of American Studies in Croatia and beyond. While Ambrose, as a historian of the early America and the antebellum society, revisits the importance of religion for the fateful conflict between the North and the South, especially as it is presented by some more recent views, Grgas delves deep into the very core of the disciplinary rationale finding there an interesting, even if unselfconscious, occlusion and evasion pertaining to the role of capitalism and the capitalist economy in the installment and development of American Studies. Thus both scholars, each tackling a different aspect of America, show how older approaches are continuously reinvigorated by the influx of new ideas and new interdisciplinary interventions. This gives the feel of a discipline constantly on the move and in the mood of reshaping itself. In this section, the reshaping is done by means of two major socio-cultural phenomena of long duration, religion and capitalism. The paper analyzes the use of humor in the work of Luiseno artist James Luna. Utilizing the media of performance, photography and installation, using himself as the object of representation, Luna has created a recognizable artistic style that addresses the complex issues of American Indian identity and representation. His installations The End of the Frail (1990-91) and The Artifact Piece (1987, 1990) both point at the constructed nature of Native identity. Whereas the former employs satire, self-stereotyping, parody and humor to expose and confront the colonial myths, distorted attitudes and pictographic representations of Native Americans, the latter addresses the issues of Native absence and invisibility in the dominant culture. Representing himself as an artifact to provoke laughter, shock and discomfort, in The Artifact Piece Luna clearly disclosed the relationship between Western institutions of knowledge and the culture of the spectacle. Both installations draw attention to the tie between imperialism and material forms of production and representation, indicating the still ongoing institutional investment in Native allegorization through commodification and scientific practices, the fact that even today Native American identity is compromised by the colonial discourse and its disciplinary practices and imagination. Using Bhabha’s concepts of mimicry and hybridity, Bakhtin’s theory of humor and Vizenor’s trickster holotrope, our analysis discusses the subversive potential of Luna’s auto-ethnographic project, its potential to deconstruct the meta-narratives of Otherness and colonization, and create new spaces for social dialogue and cultural survival.